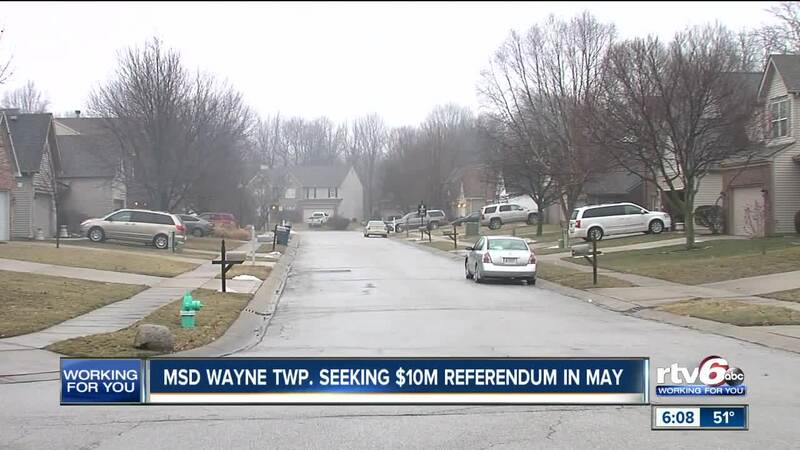 INDIANAPOLIS — MSD of Wayne Township is asking voters to approve a $10 million referendum on the May 7 ballot. The board of education approved the property tax referendum at its meeting on January 28. If approved by voters, it would cost the median homeowner with a $91,000 home would pay an increase of $8/month and $4.33 per month for homeowners ages 65 and over who qualify for the deduction. The additional funds would help the west side school district continue to enhance student security, and continue to replace the money currently spent on transportation and preventive maintenance. MSD of Wayne Township is also looking to avoid reducing academic programs they say are critical to student success, as well as recruit and retain highly effective teachers. The district graduation rate is currently 91 percent.